42 – wie/wat + er? – you made less than 10 mistakes in this test. No. 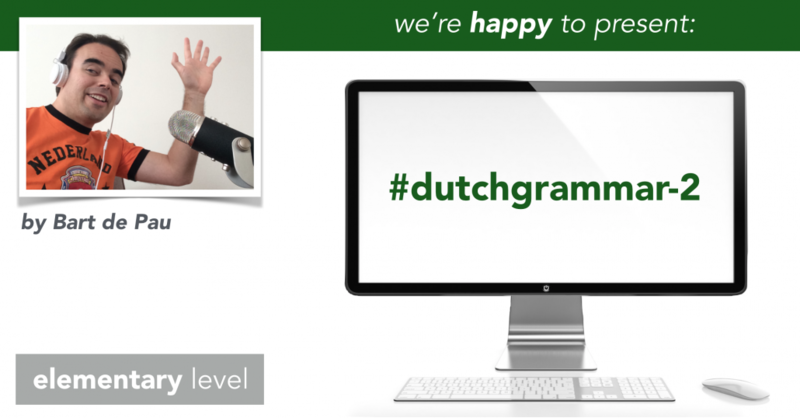 Unfortunately, there won’t be a free plan for grammar instruction on the higher levels on learndutch.org. We may once in a while send a preview lesson to the readers of the newsletter. Please note that because of the paid courses on learndutch.org, we are able to create more free content as well. Buying subscription to this course is an excellent way to support us! What can you learn from #dutchgrammar-2? In #dutchgrammar-1 you learned basic dutch grammar. With this knowledge you can construct basic sentences. #dutchgrammar-2 goes a step further. You will learn how to combine sentences, the subclause word order, relative subclauses, the word ‘er’, in detail about the past tense en present perfect (and irregular verbs); and a lot of independent topics like the imperative, the indirect object, adjectives, indefinite words, the modal verbs etc. 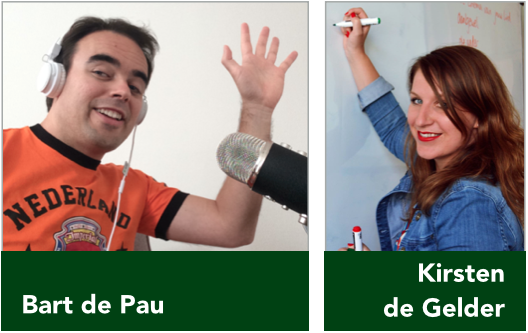 We will frequently review topics from #dutchgrammar-1 and then add something new. The 3 main topics of this course (conjunctions, past tense/present perfect, the word ‘er’) are difficult subjects for most Dutch learners. In this course we discuss that very slowly step-by-step. How does it relate to the CEFR level classification? This course, #dutchgrammar-2, can be interesting for anyone on the level A1-A2-B1 who wants to improve Dutch grammar. The classification A1-A2-B1 is not only about knowledge, but also about skills. Grammar is one element, which essential for all the skills (speaking, listening, reading). #dutchgrammar-1 discussed all grammar required on the A1 level and some of the A2 level. Someone who went through #dutchgrammar-1 will have A1, just doing the course. But, someone who applies correctly in speaking all he/she learned #dutchgrammar-1 , will have A2 level. The same counts for #dutchgrammar-2. This course discussed all grammar required on A2 level and some on B1 level. If you pass the exam, just doing the course, your level will be A2. But if you apply all the content of this course correctly, your level will be B1. The texts and presentations of this course are made by Bart de Pau in collaboration with Kirsten de Gelder. The course content has been reviewed/proofread by Leociana (Teacher of English as a second language), Rachel (US), Helen (UK), Michelle (UK). You have a question about this course? Mail us!